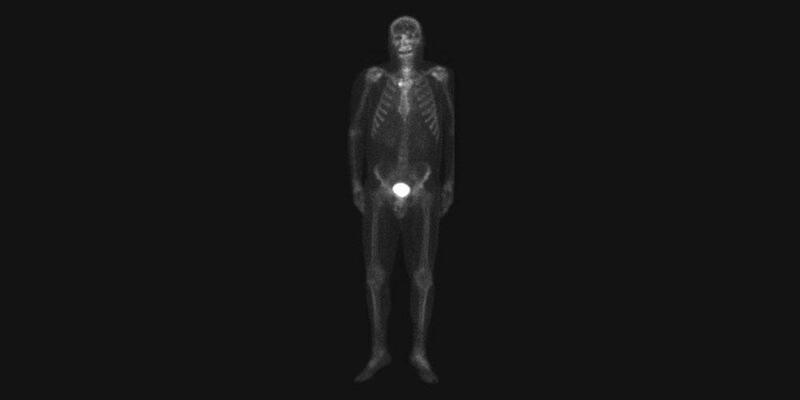 Nuclear medicine uses very small amounts of radioactive materials (radiopharmaceuticals) to diagnose and treat disease. This modality is unique because it provides doctors with information about both anatomical structure and anatomical function. The radiopharmaceuticals are detected by special types of cameras that work with computers to provide very precise pictures of the area being imaged. In therapeutic studies, the radiopharmaceuticals go directly to the organ being treated. At University Hospital, we offer nuclear medicine procedures that are essential in many medical specialties, from pediatrics to cardiology to psychiatry. New and innovative nuclear medicine treatments that target and pinpoint molecular levels within the body are revolutionizing our understanding of and approach to a range of diseases and conditions. We specialize in tumor specific imaging and therapies using monoclonal antibodies. University Hospital offers a full compliment of nuclear medicine imaging studies, including bone, brain, cardiac, breast, sentinel node, thyroid and inflammatory imaging. Last Modified: October 05, 2018. Contact Gina Romero with questions about the content of this page.